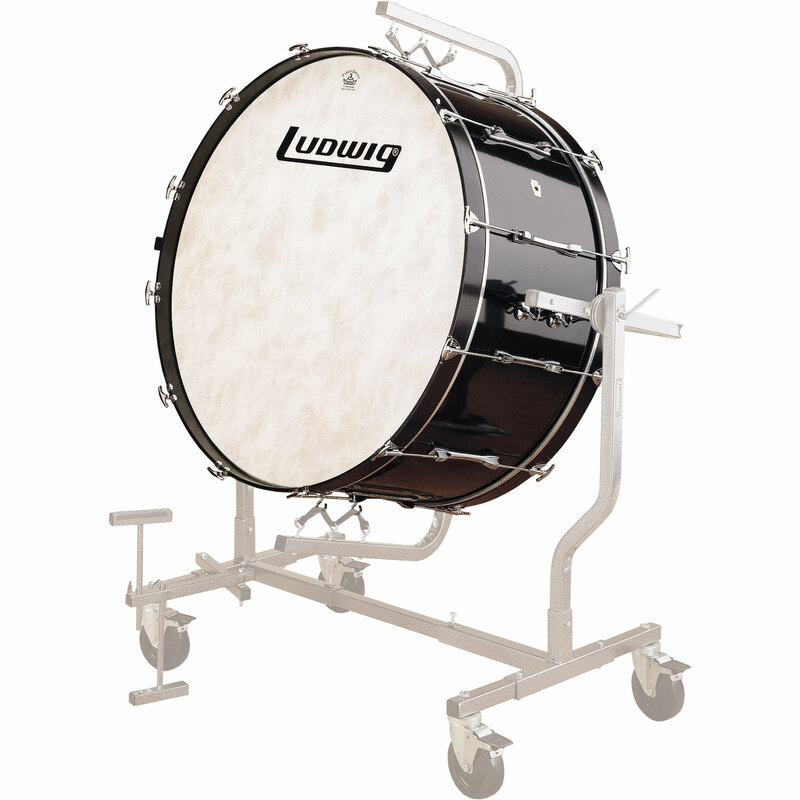 Ludwig Concert Bass Drums feature a 9-ply maple shell, die-molded to ensure perfect roundness. The tension rods self-align into the lug casings so you won't get any weird angles or poor tension, and they're T-handled for easy on-the-fly tuning adjustments. All-wood hoops complement the low, boomy sound of the drum.